What Is "The Mike Frerichs Zone"? There is a tax dimension known only to some politicians. A dimension so contradictory and so hypocritical few ever speak of it. A dimension where a politician votes to raise taxes, but then refuses to pay his own. We call it...The Frerichs Zone. 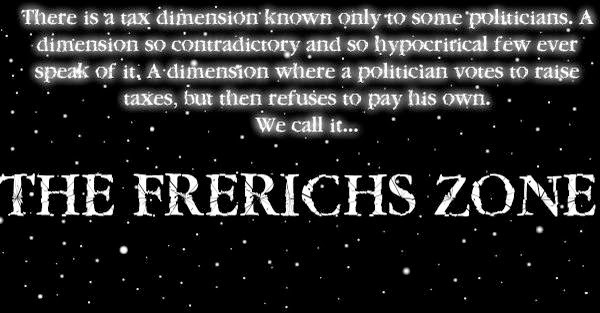 Do you dare to enter The Frerichs Zone?